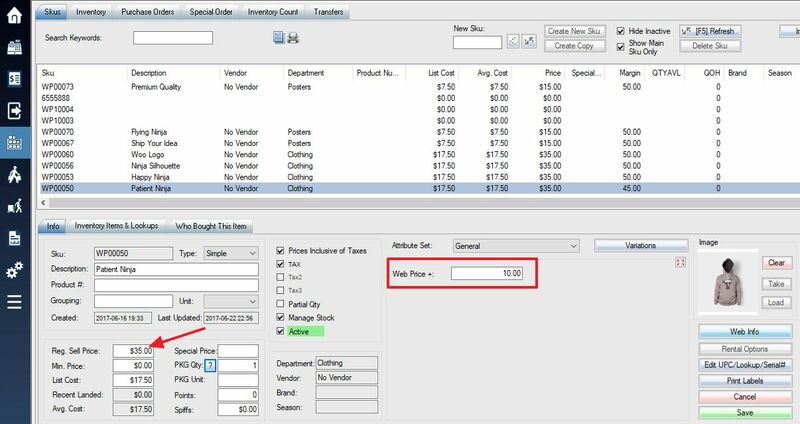 You can setup a different regular price for web store other than price in POS. For example, add shipping cost to web price. 1. 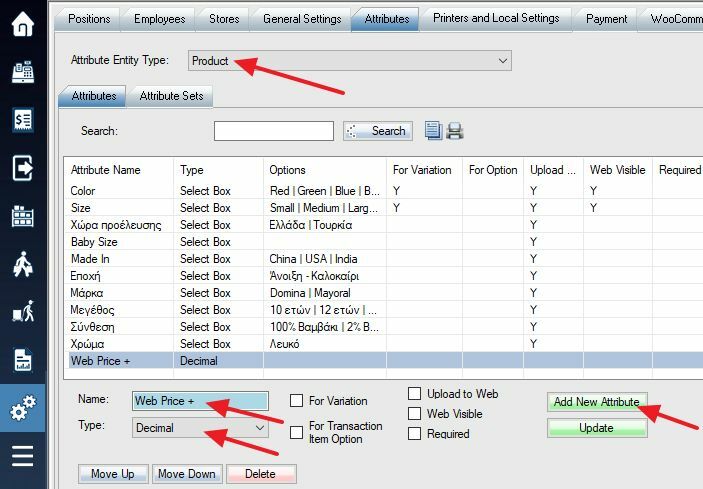 Create a decimal attribute called “Web Price +”, then add the attribute to Attribute Set and Group. 2. Set the price difference for this attribute in Sku Info Tab, and click Save button to save Sku.